A former Seward student will announce the Liberal Bee Jay games in Juntion City the next two nights. Luke Wempe attended Seward from 2006-08 and was a member of the Crusader Newspaper staff. He is a student at Kansas State University in Manhattan and the K-State student station will provide a broadcast of Liberal’s games in Junction City Thursday and Friday nights at 7 p.m. This means the rest of Liberal’s games will be available to listen to on the internet this season. Wempe will announce the games on 91.9 FM “The Wildcat” in Manhattan. 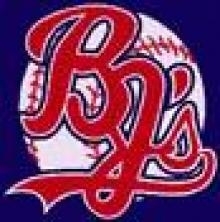 You can find a link for the broadcast at junctioncitygenerals.com. Wempe will be a guest on the Sportsguys Friday morning on Talkradio 1270 between 7:37 and 9 a.m. The Bee Jays will return to Talkradio 1270 Saturday, Sunday, and Monday night in El Dorado, Tuesday night in Hays, and Thursday night in Dodge City.